The Digital Marketing Superhero’s Club welcomes Azriel Ratz from Ratz Pack Media. Azriel is a Facebook ads genius, but you know what, when you talk to him what he says makes so much sense it seems simple. He shares the story of how he manages to get up to a 2,500% return on investment for coaches and it’s a fascinating process. 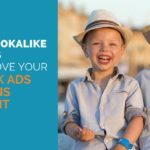 Superhero Tips – How to prepare for a Facebook ads campaign that will get results. ‘Facebook ads don’t work’. I hear businesses say this all the time and you know what? I think it’s Facebook’s fault. They make it so easy for us to press a button to advertise that we assume it’s easy to get results. Got a new product and want to generate sales. Spend on some ads. To stand a chance of success there are some crucial elements that you need to have in place before running your campaign. A successful ads campaign starts with content. This could be a video tip or a blog post that you use to build an audience. This content should address one of the key problems that you help your customers with. That way you know that when someone views them they need what you’ve got. It will be much easier to sell to them. When you send your ads audience to your site it should be easy for them to find the thing they clicked through to see. Instead of sending them to a general page on your site construct a landing page that makes it easy to buy. Assess who you want to send ads to. Cold audiences include interest and lookalike. You’ll need to warm these up before you sell to them. Warm audiences or custom audiences consist of people who have already had some contact with you. Construct these audiences before you sit down to build your ad campaigns. Create at least 2 different versions of your graphics or videos for yoru ads. 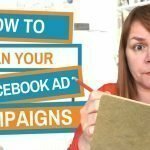 This means that Facebook can split tet your ads and you can hone your campaigns to get the best results. Just like images, you should construct two versions of your text so that Facebook (or you) can split test. Add the Facebook tracking pixel to your site. This will help you build audiences from all your website visitors or people who visit specific pages. 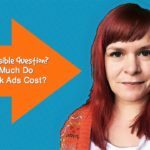 Decide how much you want to spend on your ads. I recommend a minimum spend of €5 £5 or $5 a day. Set up a custom report for your Facebook ads. This allows you to see the results you need to see, fast. More on this in the Superhero newsletter. Some days you totally rock your social media updates. It’s as if you were born to do this job. You are clever, witty and you write an excellent sales pitch. Other days you need a helping hand. Social Message Optimizer is there for you when you get stuck. It won’t write your updates but it will help ensure they are a good fit for the social network you are posting to. Plug your social update or a text into social message optimizer and it will grade your update for each social network and give you tips on how to improve it. This isn’t about grammar and spelling, it’s about optimising your message for the networks you post to. Social Message Optimizer is free to use, you do need to give them an email address. You can access it here. I’m so excited to have you here because I’ve been following you on social for a few years now. And you’re talking about one of my favorite topics, which is Facebook ads. My favorite topic for sure. My kids are a close second. So we thought we’d have a chat because you’ve run some campaigns for coaches, Facebook campaigns for coaches. So if a coach comes to you, tell me the process that you go through with a coach if they want … I’m imagining they want sales, that’s what you’re doing for them. Yes, well I’d say like this. Most of the time coaches come to me, they want to launch a new product. There’s usually one of three options. Either they have their one on ones, their one on one coaching or they have a course where they’re just selling, they recorded five, six hours of material. They want to sell that as a course. They sell it as a course. But the middle ground is really where Facebook ads shine, which is programs. It’s essentially a live course. Usually, they give a free, a private Facebook group. They have the course material and then on top of that they’ll do weekly Q and A’s via Facebook Live. That’s really the middle ground. What’s really great about that, about programs, is that, it’s with one on ones, you could usually only handle 10 to 15 clients at a time, in a month because it’s just too much work to handle. With courses, you can create as much material as you want and obviously you want to sell thousands and thousands of courses, but how much can you really charge for a course? Maybe a couple hundred dollars. Five, $600 is the most you can charge for a course. But with programs, they get the course material and they get the one on one coaching aspect, a live coaching aspect. So in a lot of situations, you’re able to sell this product for 2,000, 3,000, 5,000, even $10,000 because it’s a little bit of course and a little bit of one on one coaching. So the question becomes how do I properly launch a new program? And I’ve done this at least a dozen times at this point and there’s a very clear process that you have to do to launch a product. So a program, I apologize. The first step is that if you know you’re planning to launch a program is make sure you have as large of a warm audience as you possibly can. Now the way I define a warm audience, essentially someone that has heard of you before, because if you’re trying to sell something for $3,000, especially if you’re not taking sales calls, you have to have as many people know you before you ever try to sell to them. Could you imagine let’s say, I think Marie Forleo just finished B school last week, literally within the last five days. If you didn’t know who she was, you’d probably not buy her $2,000 program this year. And it might have been the first time you heard about her this week, but you might not buy it until next year, and that it’s closed. You can’t buy it for a full calendar year now. Essentially if you’re trying to sell a program, you have to get people to know who you are before you start talking about the program. So if you have plenty of time, six months, three to six months when you want to do is spend that time before the course just building brand awareness, getting in as many publications as you can, creating Facebook Lives, writing blog posts, writing long-form content on Facebook, sharing images, whatever it is, just to build brand awareness. So you spend the three to six months before your campaigns just to get in as in front of as many new people as possible. Are you spending ad budget for that as well? If you can, you should. And it can be as as little as five to $10 a day just to get your name out there. You get publishing whenever it is, TechCrunch, I don’t know, whatever people read, Business Insider, you get published in Forbes. You want people to know that that’s there. So you share that post out with people from your page so that people know that that exists. Obviously, the budget could be literally as little as $5 a day, as much as a thousand dollars a day. Just the place to get people to know who you are. Now, once you’re within three months, the goal is to remind all of your warm audiences you exist. Because a lot of times, even if someone likes your page, you have 10,000 likes on your page. How many of those 10,000 likes are actually seeing your content every day. You have 5,000 people on your email list. How many of those people are opening your email everyday? So you want to spend the six weeks to three months period, making sure everyone remembers you exist and why they cared about you in the first place. So you’ve gotta be sharing some amazing tips over that period just to be like, “I remember this person they shared whatever material it was. They’re really smart at launches, they’re really great at social media management, they’re really great.” Whatever it is, obviously connected hopefully to the thing you’re hoping to launch. 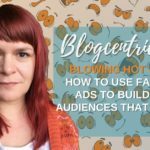 The next stage after totally cold audiences, you want to focus on rewarming up your existing audiences, email subscribers, website visitors, Facebook likes, Facebook page likes, Instagram engagement, stuff like that. Get them to remember who you are. And that’s all just your good content as well that you’re pushing out there. Yeah, just good content, but it’s specifically focused on the people that already know who you are because at this point, if it’s within six weeks of the launch, if a person doesn’t know who you are, it’s going to be much more difficult to build trust with them. Yes, that makes total sense. Yes. Now you’re within six weeks of the launch. Now at this point you want to be collecting, obviously you could have started a long time ago, but you want now to be the focus of building, generating an email list specifically for this launch. So a lot of people what they offer here is an early bird special. If you sign up today, you get $500 off the actual cost of the program. So if you’re selling the program for for $3,000, you offer $500 off. A lot of people will sign up to the email list even if they don’t plan to buy just so they can, if they’re interested in buying, they’re getting $500 off. You want to spend that six week period generating email addresses, as many people that can get on your email list as possible for your launch. And then what I would do is the week or two before the launch, I would actually offer the program for sale exclusively to the people that signed up to the early bird. Okay. So we’re not doing the traditional sales spirit here, which people would do, which is they do a Webinar at this stage or actually just selling them. ’cause obviously if they signed up and said they’re interested, they’re interested. Correct. So you’re literally announcing the two weeks before a week or 10 days, whatever it is, before the actual thing goes live. Anyone who signed to the early bird, if you don’t sign up by, I don’t know, April 1st you lose out on that $500 coupon. So you’ve got to get in now, make sure you buy it today before everyone else can to get the early bird. Now, obviously besides the Facebook ads, you want to be running emails to make sure they don’t miss out on seeing this opportunity. And the hope is to get 30 plus percent of your sales at this section. It’s your best people. They’ve already signed up, they’re getting it at the lowest possible price. You want to get as many sales during this period as possible. I love that. Okay. Yes. Now the early bird special ends, and you’re about to launch for everyone else. So you’re in the first, let’s say five to 10 days of the, obviously depends how long your launch is, if it’s a week or if it’s a month. So it is very flexible on how long the actual launch period is. But at this point you have the people that did it that weren’t on the early bird or people who didn’t buy the early bird purchase. Announce the full, regular price product with, because it’s the first week of the launch you’re offering, let’s say $250 off. So if they would have signed up for early bird, it was $500 off. Now it’s at $250 off for the first, I don’t know, five days of the launch. Then what it does is, after that period, you shift from that to essentially you want people to know that it’s what the value will be in this program. So a lot of people here, what they’ll do is they’ll do a five-day live stream series or, when you’re talking about Webinar. So essentially you want to have some sort of hook at this point to get people excited about the program. So you’ll do a five-day livestream. And again, you’ll run during this period while you’re doing sales, you’ll run email signups. Essentially what we’re giving people is, giving them access to your live stream program, the five-day live stream. And also when they sign up, they get a hundred dollar coupon code. So essentially they had the five to 10 days for the $250 off when it launched. Now it’s shifting to email signups with a coupon code and the expectation of a live stream. And the hope obviously is they’re going to take advantage of that coupon code if they haven’t bought at 500. And they haven’t bought at 250 off. Now there’s a hundred dollar coupon that they could buy the program with. And the only people that have access to this coupon code are those people that gave their email for the livestream series. And now you do the live stream series five days, ten days, however long you’re doing it for. And at the end of each day, you pitch the sale with the coupon at the end of the video. So essentially you have now managed to do what would be six full weeks of promotion with never repeating yourself and never reducing the price at any point during the launch. And at this point, you’ve done your live series, you’ve done your early bird sign up, you’ve done the early bird pricing, you gave the $250 off for people who bought early during the launch. You gave the coupon code plus the livestream series, And that lasted three, four weeks. At this point, you want to just do last week of doors closing at full price. And essentially what happens here is, they’ve seen all of this stuff for the last three to six months. They know who you are, they know you’re an expert, they’ve seen all the social proof on all of your previous clients talking about how amazing you are, and at this point, they’re running out of time. There’s only two or three days left of the program. It’s about to start on Monday. If you don’t sign up right now, the doors are closing and it’s real. It’s not, it’s a real urgency. The doors are really closing. There’s no way to sign up for this thing. Once Monday comes, everyone’s starting to come in, you’re going to miss the first lesson. That’s it. It’s over. And essentially that’s what you do. You sell it at full price, doors closing by now, and that is the whole launch for a program, and I’ve seen insane results with this launch. 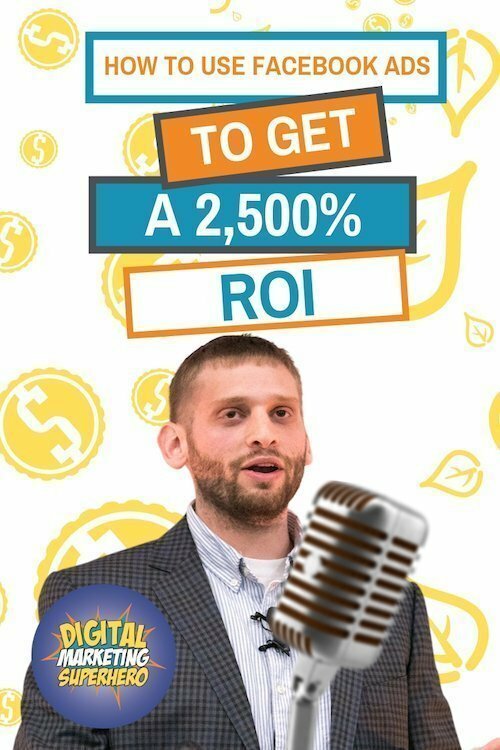 Anything from 10 to as high as 25 times return on programs like this. Wow. I love … I’m sitting here with a big grin on my face. Not ’cause I think I’m going to be a millionaire, ’cause I think I’d need to do this, but not that I’d mind being a millionaire, but I just love the system there because I think so many people just go down that standard road, don’t they? From like, “Oh well I’m going to run a Webinar” and you spend all your time advertising a Webinar, and it is a hard slog to do it that way. So I am always looking for more creative ways to do that. So that is brilliant. And tell me again how many times the ad spend that you got on that. I’ve seen everything from 10 up to 25 times return on 10,000 plus dollar launches like this. Fantastic. And so what’s the ad spend? Is that the 10,000? Yeah. Oh, so approximately $10,000 for the whole … This was just the six weeks before, not the list building part of it, but just the six weeks before the launch of getting people excited about it, getting early bird emails. Like the whole thing about, we spent between 10 and $15,000 and we had one launch that did almost $300,000. Okay. You sold it to me. My next $10,000 plus your fee. Thanks so much. You totally are a digital marketing superhero. So welcome to the club, and tell me now, because I’m sure a lot of people are going, I want some of that. Where can we find out more about you? Where can we hire you? So the best place to find out about me is my personal Facebook account. Send me a message, tell me you came from the Digital Marketing Superheroes Club, and also I really want you to be able to get the basics of Facebook ads. So I created a course and it’s free. Worth $300. It was 297 for a long time, and I made it free. I since had over 2,500 people sign up for the course. Crazy reviews of people that didn’t know anything about Facebook ads showed up day one and it really, it doesn’t talk about how to use the platform, because Facebook does a lot better job on that. And if I made it today it would be boring to … It would be totally irrelevant tomorrow. If I told you how to use ad sets, I made the course when power editor existed. It doesn’t exist anymore. So it’s not really about how to manually create Facebook ads. It’s how to think about, on the macro level, how to approach designing Facebook ads. Who are the people I’m trying to reach, where should I be reaching them, what type of content should I create for them. And obviously, it does have those little tips and tricks that are out. How to have ads bid against each other to get the lowest price and get the most relevant ad or whatever it is. But that’s not really what the course is about. The course really is about how to think from, take a step back and look at my business through the lens of a really great medium, which is Facebook ads. And what’s the best way for me to approach this platform when I want to get in front of the people I already talked to or even new people. And to get to that course, it’s just courses.ratzpackmedia.com, and the coupon code is “knowledge”. Perfect. And I know loads of people have done that course. It’s on my list of things. So yeah, I think people should go and snap that up, at least. If they can’t afford to go to a specialist, I think it’s a good place just to start themselves. Thanks so much for joining us. Azriel Ratz specializes in advertising high ticket products and has extensive experience in ad management for diverse markets, including B2B, SaaS, online publishing, apps, and more. Previous clients include Postmodern Jukebox, Powtoon, Thinkific, Freightos, Hometalk, The Daily Dot, Tenzo Tea and United with Israel. 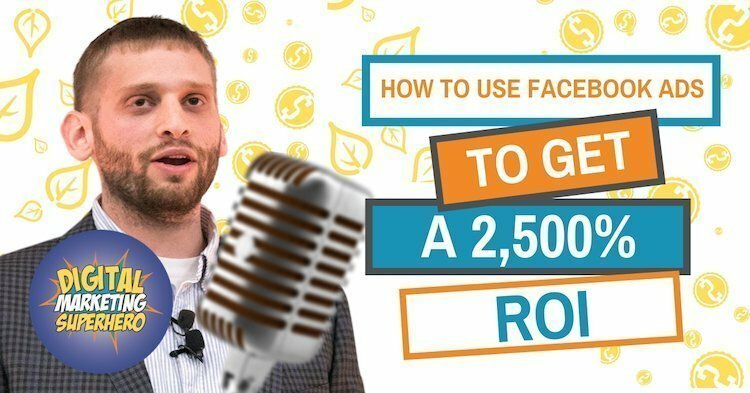 His expertise in Facebook ads is proven by his excellent track record of generating an average return of 500% on ad investment.